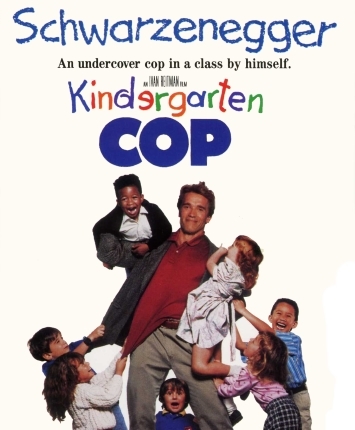 Episode 2 – Kindergarten Cop (1990) with Rebecca Friedman | Podcasta la Vista, Baby! This entry was posted in New Episode and tagged arnold schwarzenegger, creepy twins, ferret, glass coffee tables, good thing he has a ferret, i'm the party pooper, ivan reitman, kindergarten cop, militarizing children, not a tumor, pamela reed, penelope ann miller, police school, randy edelman, rebecca friedman, richard tyson, tomax and xamot, yelling by Mike Gillis. Bookmark the permalink.